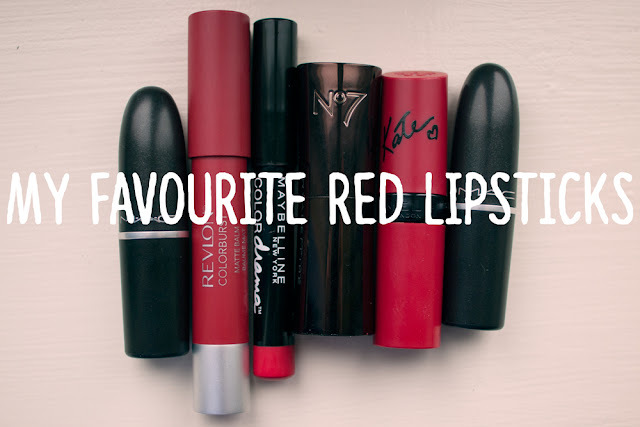 Anastasia Gammon: My favourite red lipsticks. You know that bit in my sidebar where it says that I've 'spent a small fortune on red lipstick'? That's no joke. It doesn't matter who I'm with, if I'm out shopping and I pick up a new lipstick, whoever is with me will inevitably roll their eyes and ask 'another red lipstick?' I can't help myself! Anyway, since I've spent the last few years testing out every red I can get my hands on I thought it was about time to share a few of my favourites. I have quite a few of the Rimmel Kate lipsticks and I love the formula of all of them. They glide on easily and last really well so I definitely recommend any of the lipsticks in that range. 111 is my particular favourite though. 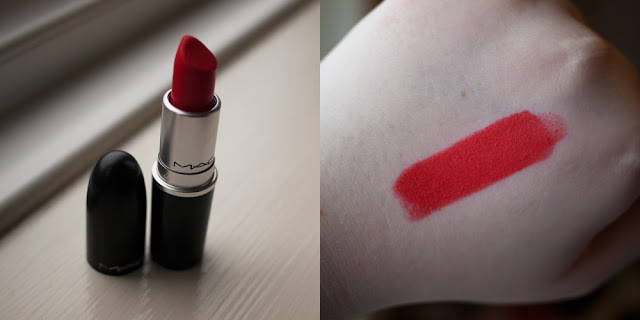 It's the perfect red for me and possibly my favourite of all the lipsticks on this list. It's a real neutral red and one that I think would suit any skin tone. I only have two MAC lipsticks (so far) and they're both on this list. Lady Danger is a lot more orange than any of the other lipsticks on this list but it's definitely still red enough to qualify. I got this one earlier this year and it was my go to lipstick for the whole of this summer. I particularly love wearing it with messy hair and barely-there makeup. I'm not sure why this one is showing up so pink toned in the swatch but I promise you, in real life Light It Up is a classic true red. 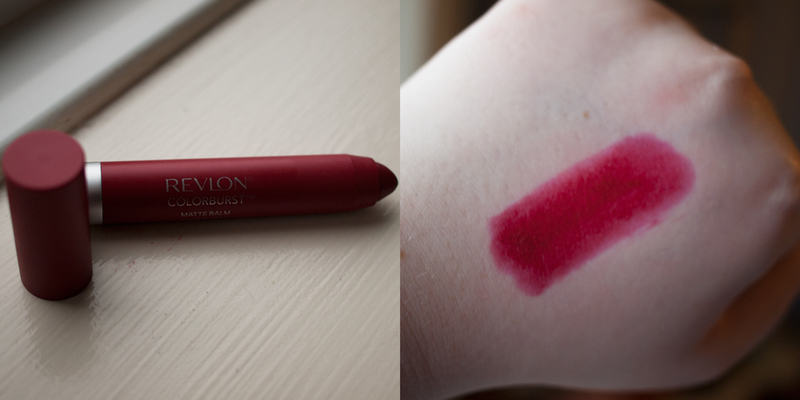 I personally find the pencil a little bit difficult to get a neat edge with but this has such a lovely velvety finish once it's on and it's such a great colour that it's totally worth spending a little bit of extra time on the application. 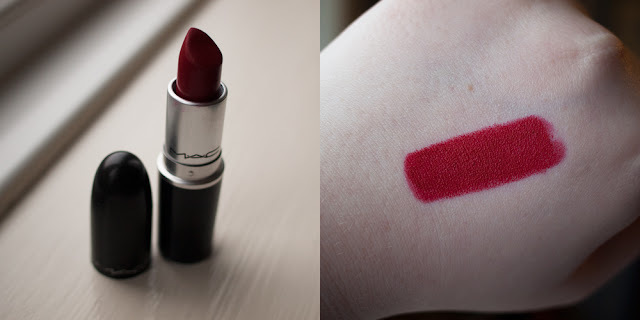 Russian Red was my first MAC lipstick and I still love it every bit as much as I did when I first got it. It's a much deeper, darker red than many of the others on this list, with a definite blue tone, which makes it especially great for this time of year. This and Lady Danger are both a little bit on the dry side but not so much that I find them uncomfortable to wear, and the lasting power is definitely worth it anyway. 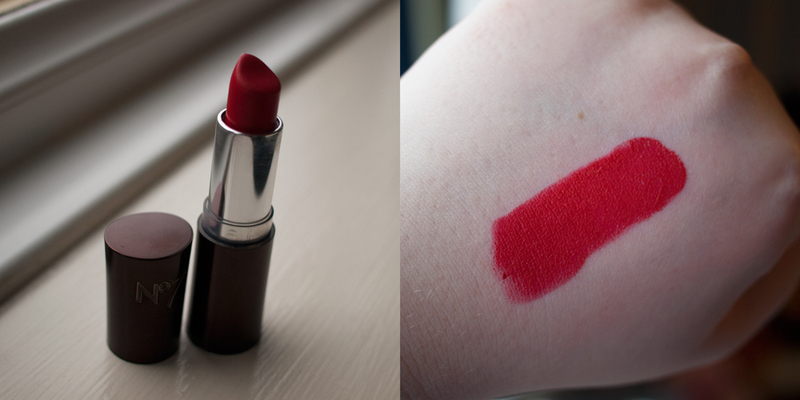 Siren was one of the first red lipsticks I ever bought and it's still a definite favourite. This is another classic red, although maybe a tiny bit more on the orange side than something like Light It Up. I've also just realised that it's the only non-matte lipstick on this list. I guess I have a type? I wouldn't describe it as a glossy lipstick either but it definitely has a lot more shine than something like Russian Red. First of all, I am so sorry that this swatch is so out of focus. I guess there's a reason I'm not a beauty blogger. 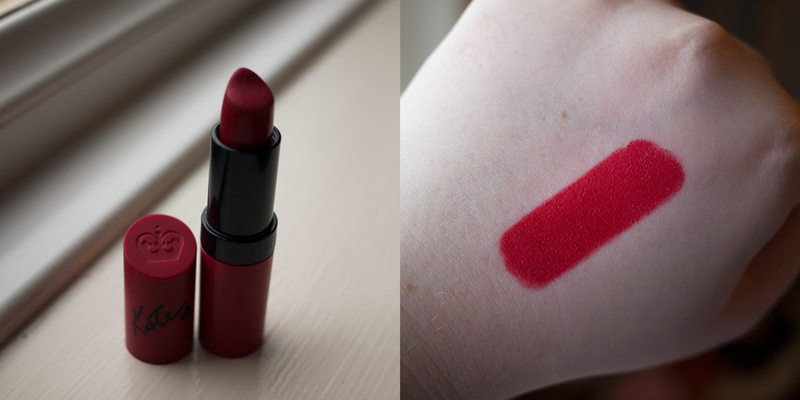 Although it doesn't look like it from that shoddy swatch image, Standout is one of the darkest lipsticks on this list. 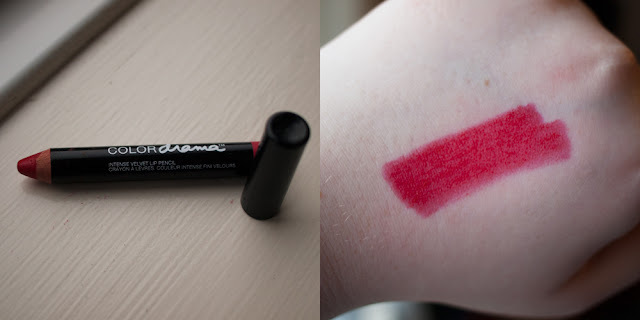 It's almost a plummy sort of red and although it's a matte colour it is quite moisturising and one that I can wear all day without it feeling uncomfortable.